Not so long ago, low-energy building consultants were waxing lyrical about the benefits of large, South-facing windows. Reducing heating bills using what became known as ‘passive solar architecture’ was very much the thing during the late 1970s and 1980s. With more recent trends towards thermally lightweight, airtight homes, potential problems with summertime overheating became apparent. The way to avoid this is, in simple terms, to make the South-facing windows smaller. So, smaller or larger? It all depends on your primary design objective. To make things even more interesting, another issue comes into play: allowing plenty of daylight into the home. 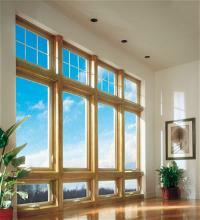 And the type, as well as size, of the windows also has a bearing. The trade-offs are complex, and the different design decisions often pull against each other in a way that makes it hard to find the optimum solution. Thankfully there are some sophisticated modelling tools available to help, although using some of them can be rather technical. In order to assist designers and housebuilders in rising to the challenge, extensive modelling runs have been carried out and published by the NHBC Foundation in a new industry guide, "Windows - making it clear; energy, daylighting and thermal comfort”. The guide was researched and written for the Foundation by Cutland Consulting Ltd with input from Eco Design Consultants. It makes extensive use of graphics to guide the reader through various dilemmas, helping them to avoid undesirable outcomes and home in on the optimal window specification. The guide (ref. NF78) is available as a free download from www.nhbcfoundation.org, and hardcopies are available upon request from the Foundation.